LC-2 Lambda Cable (Standalone Wideband Controller) with wideband 02 Sensor and our Billet round 2-1/16" display in a stand alone package deal. Comes with everything you need even the weld on bung. No computer needed as this kit is stand alone and ready to go! Bosch Wideband Sensor Included* The LC-2 is a complete wideband controller. It features the same award-winning patented digital measurement principal found in the LM-2, and includes digital input, output, and 2 programmable analog outputs. 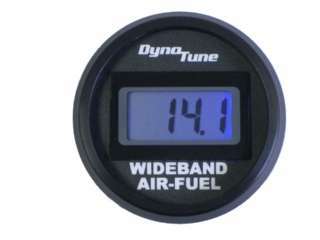 This kit comes with everything you need to monitor your air fuel ratio in your vehicle. It can optionally be programmed to output data or be configured to work with aftermarket fuel injection systems. Comes with a weld on bung, instructions, software(not needed to run this gauge as the kit comes ready to go, simply plug and go, no computer needed to configure this gauge. Works from 10:1 to 20:1 Air/Fuel ratio. Note: You must use a heat sink bung for turbo or supercharged applications! Failure to use the heat sink bung will damage the o2 sensor. see the sensors section for the heat sink bung.